Having the best equipment at the most competitive price is important and the right financing often makes this possible. We offer a wide variety of financial options designed to make your material handling operation as cost effective as possible. Power Machinery Center utilizes it’s internal financial resources to provide our customers with the most flexible finance and leasing option available. We are committed to assisting you with the most favorable lease or finance option for your company. We recognize that our commitment doesn’t end with the delivery of the equipment, but creates a partnership which will continue throughout the lifetime of the equipment. Customized Programs: We pride ourselves in being able to provide our customers with the right solutions. We offer creative, flexible terms to tailor a lease or finance program to your specific needs or economic cycles. Competitive Rates: Our experienced staff is available to provide the best solution at the lowest cost. There is no middleman, therefore there are low processing fees, and no points, UCC filing fees, or prepayment penalties. High Residual Values: We offer the highest residual value possible because we know the equipment and the industry and have a ready market for used equipment. This translates into a lower monthly payment for you. Full Maintenance Programs: We want to provide you with the best customer service during your ownership period. That is why we also offer full maintenance programs. If you’re not sure about what is best for your business, our sales staff can help by explaining each option in detail. Power Machinery Center provides all types of equipment for rent by the week or month. These units are available powered by gas, LPG, diesel and electric and can be equipped with various time saving attachments. Short Term rentals provide temporary equipment for seasonal needs, peak periods and special projects. 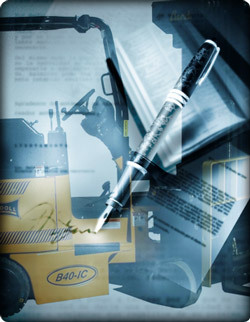 Customer signs one master agreement which allows the addition of equipment at any time, for various locations and terms. Equipment can be added with a supplement to the original Master Lease Agreement. Full maintenance can be added with a supplement to the original Master Lease Agreement. A plant survey is a tool to help the customer and Power Machinery Center obtain the information necessary to determine the type of lease or finance program most beneficial to the customer. This survey takes into consideration many details of a customers operation such as the application, customer operations, locations and exposures, existing equipment, and planned usage. Please contact us about scheduling a survey of your operation. Our staff will work with you to design the program that is best suited for your company. Do I have enough cash available for a down payment to consider financing? Do I want to own the equipment at the end of the term? What is my current equipment expense budget? Do I have a capital equipment budget? Do I have a particular term in mind? How long do I expect to use the equipment? Do I have a trade-in available? What is the most important to me, monthly payment or total cost over the term?